Here's Roger's outfit for the upcoming clay court Masters 1000 events in Madrid and Rome. 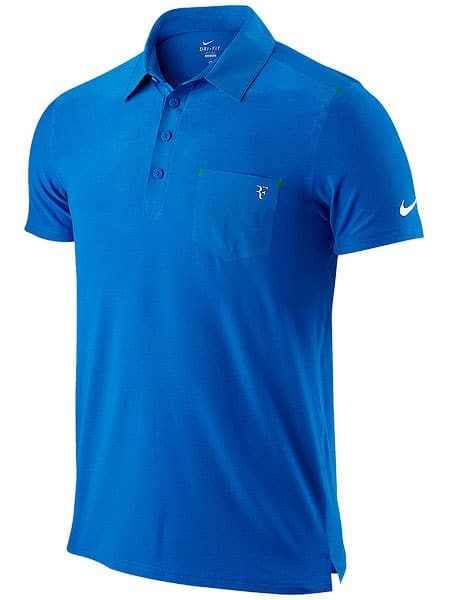 Nike have given it the name “Nike Smash Clay Polo”. It's a “Soar” blue polo with green and white detailing. For those of you who like the technical details of clothing you'll be pleased to know it features “sonic welded seams at the shoulders, armholes and sides for comfort” – Hmmmm right! I don't have any images for the shorts yet – but I'm guessing they can only be plain white with a blue Nike tick. Or maybe green. On first impressions I really like it, it's a nice colour and has some well thought out detailing such as the green around the top pocket. Another plus is he should almost look invisible on the blue clay making him a nigh on cert for the title. Haha noooooo! 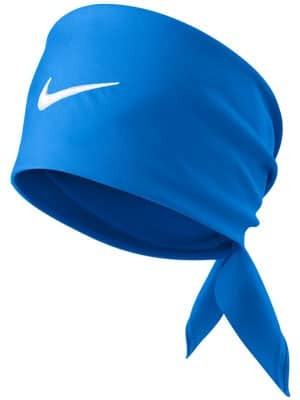 I mean the Nike tick might be green to match the tabs on the pocket. Not totally green! Shorts are going to be white for sure. 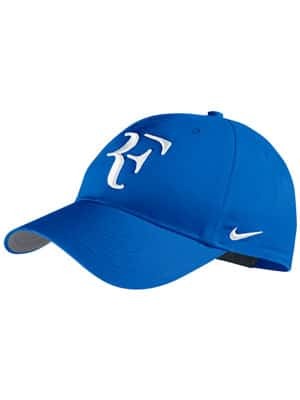 Went to China for a while, looking for some Nike Factory stores to see if I buy a Federer outfit. 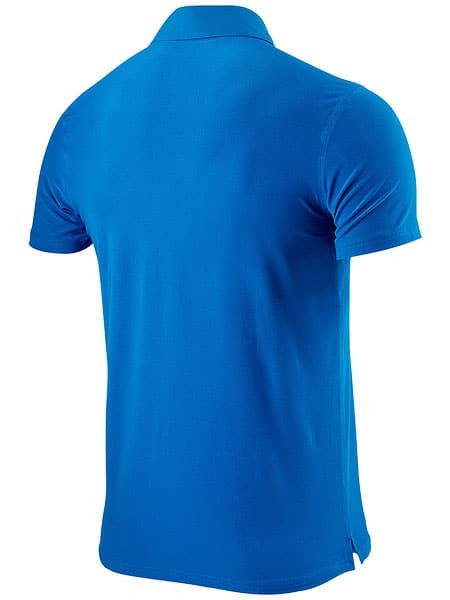 Bought the white and blue v neck from Miami since the only other option was the red polo from melbourne, which I already have! Cool stuff. You’re from Australia right? Fed is well popular in China, I reckon you can pick up quite a lot of his outfits. Even the fakes are probably still good!